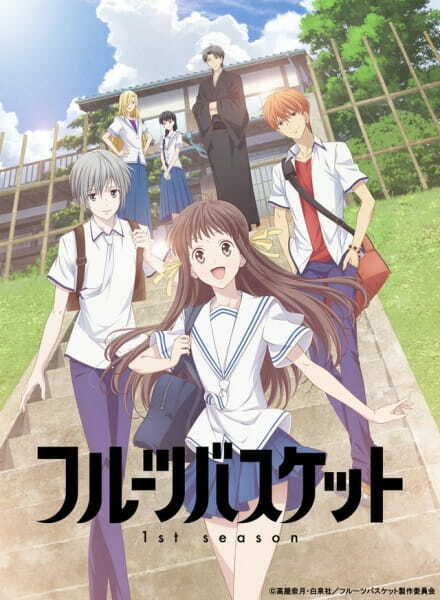 Before I get into this, I just wanted to say that Funimation did an excellent job of premiering the first two episodes of Fruits Basket (2019) here in the US! Along with the movie ticket, there was merchandise sitting at our table: A Fruits Basket cup, Fruits Basket lanyard, and two Tohru buttons. But wait there’s more! There was a merchandise voucher that we can ship to get even more merchandise! As for what we’ll be getting, I have no clue but I’m excited! There was also short videos both the Japanese and English voice actors talking about their thoughts on the show. There were both very entertaining and insightful! ANYWAY, back to the important part. The Fruits Basket remake (the original airing back in 2001) is everything the fans wanted and more. The wonderful rework stays true to the manga and the original anime with its charm and memorable characters. Though, maybe because I was really excited about the premiere, the first episode felt very quick. It goes through a good portion of the story in a mere 40-50 minutes. But regardless, I’m very excited to watch this wonderful anime and relive my childhood again! This is a definite yes for all of my OG anime fans out there! As for new fans of the series, the show is extremely heartwarming and fun. Fruits Basket is one of those “gateway” anime as it’s easy to watch, very enjoyable, and most importantly a show that will stay with you forever.